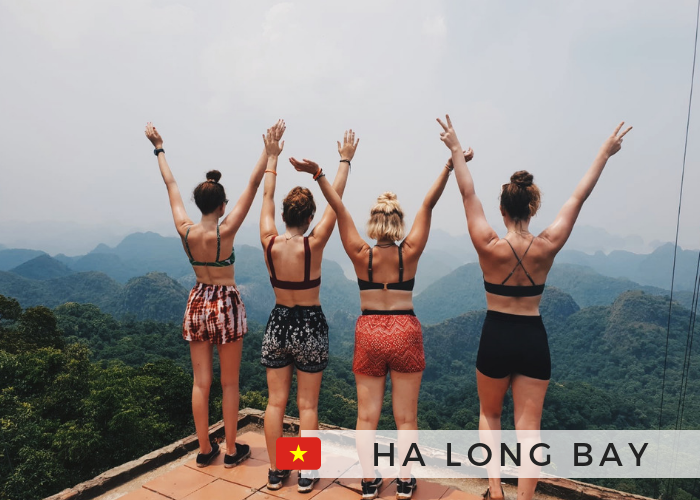 We couldn't go to Vietnam and not visit Ha Long Bay, could we? Toria and I opted for the Hideaway Tour as it had lots of daytime activities as well as really good reviews from other people we'd met whilst travelling. 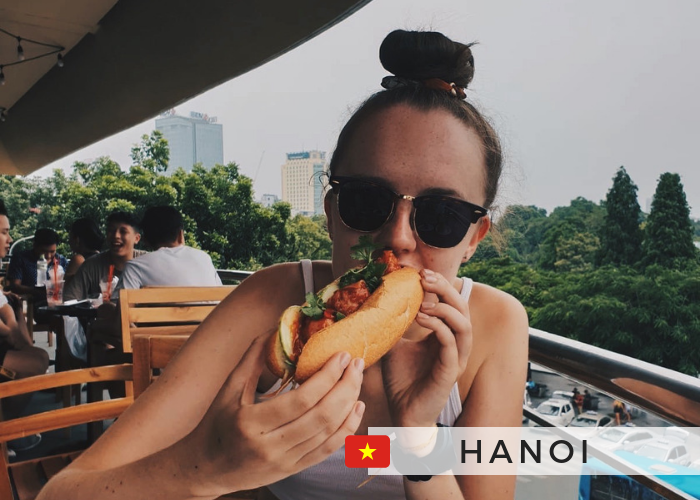 Now, if you've read my Hanoi post (linked here) you'll know that we had a bit of a messy night out the day before our trip. So, you'll be unsurprised to hear that we were feeling a little worse for wear when our alarm went off at 6am and we had to embark on our five hours of travel to the private island. We stopped halfway there and had a buffet lunch on the boat, did some boat jumping and swam in the sea. Once we'd arrived on the island we were allocated our rooms. We were put in a room for eight with four other girls and as it turns out, we all got on really really well. That evening we had a buffet BBQ, which received some mixed reviews. I wasn't a massive fan of the food, but some of the other girls really loved it. That evening there was a really big thunderstorm, so we spent the evening hiding away and getting ready before heading to the bar for happy hour. We woke up at about 8 the following morning ready for what was to be the most exhausting day of the entire trip. The day started with a boat ride, and then a cycle to the start of the jungle trek. Now, let me tell you, I have never sweated so much in my LIFE than I did on that bike ride. It was really hot and humid, which combined with a lot of uphill cycling, resulted in a lot of sweaty, hungover backpackers. Now, we'd been told by a girl we'd met at a hostel earlier on in the trip that the jungle trek was a bit of a breeze and nothing to worry about. SHE COULD NOT HAVE BEEN MORE WRONG. The walk was an hour uphill through the jungle, climbing rocks and mud, in 30-degree heat. Now, I cannot even begin to tell you how many times the girls in my room and I wanted to give up and just head back down to the start. But, after quite a few rest breaks and pep talks between ourselves we made it to the top. Now, this was very anticlimactic. We were expecting really gorgeous, panoramic views and it's fair to say we were underwhelmed, particularly after all that effort. Alas, we had a quick rest at the top before heading back down on the descent. We then had lunch on the boat, and a quick swim off the side, before heading back to the island. We had another chilled afternoon swimming in the sea before having our second buffet BBQ. We then got glammed up and ready for our second night of drinking on the island. It was far better than the last and involved alllll sorts of drinking games. The following morning we were all feeling nothing but exhaustion... Perfect when a morning of kayaking is ahead, hey? It was really good fun but oh so tiring. After this, we had our final meal before heading back to the boat to head back to the mainland. Overall, we had a really good time, but definitely needed a few days afterward to recover. Hideaway isn't for the fainthearted. If you're thinking of going, definitely do the 3-day tour - it's a long way to go for only one night and really is worth the money. Ahhhh, creating an Instagram theme... For me, it's simultaneously been the best and worst thing I've ever done for my Instagram. 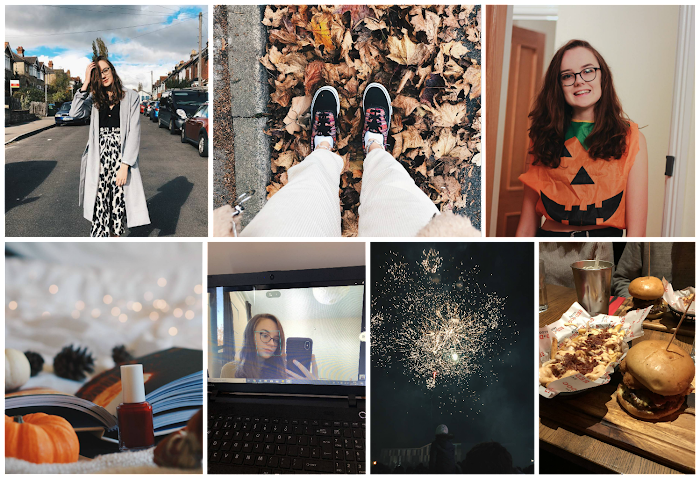 It's great because it means that my grid looks cohesive (or tries to at least) and my photos all have a similar look, they're 'my' photos. It has, however, put unduly pressure on the platform as a whole and limited the range of photos I can post, read: made it a bit of a chore. That being said since having more of a 'theme' my following has grown more significantly as has my engagement. Swings and roundabouts hey, swings and roundabouts. Or a few colours, and use these as the basis for all of your photos. In Autumn, for example, my colours were oranges, nudes and browns. 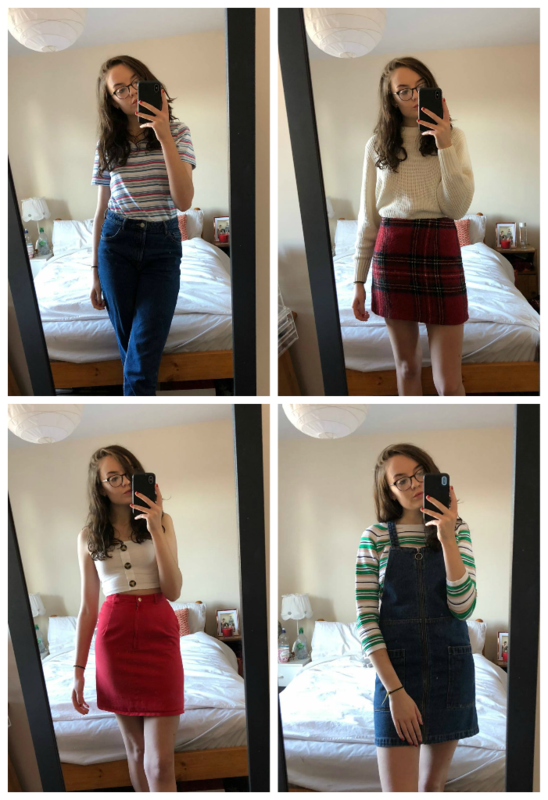 So, I made sure that any flatlays I took had a pumpkin or some leaves in, and any outfit photos had similar tones too, either in the clothes I was wearing or the location they were shot. I am currently amidst a Christmas theme, so the focus colour is of course red. So, when taking photos for the gram, you guessed it, I'm trying to make sure the colour red makes an appearance somewhere. This is the by far the easiest way to keep to a colour scheme. 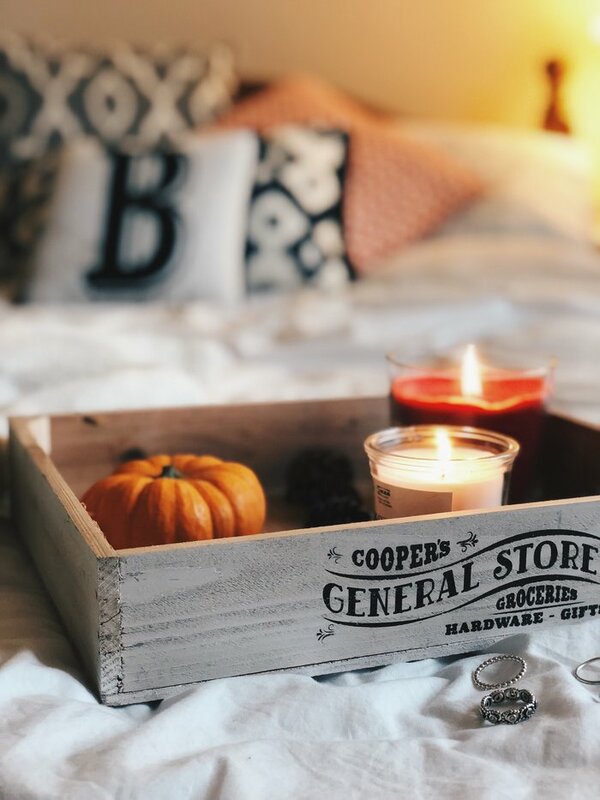 As I'm sure you'll have noticed, the same little munchkin pumpkin featured in 99.99% of my autumnal photos, lurking here there and everywhere in my flatlays. I also shoot most of my photos against my white bedding, so teamed with the same props, this creates a really good sense of consistency even if the other content in the photo is totally obscure. Anyone who knows me in person will know that I alwaaaaays use VSCOcam to edit everything and anything without fail. Selfies, outfit photos, flatlays, food - the lot. I tend to faff around with the brightness and saturation longer than I should admit to and then go onto the filters. I always use the same one and just adjust the intensity of it. Personal favourites include; A6, C1, HB2, and T1. You can also copy and paste edits from one photo to another on VSCO and this is by far the quickest way to edit all photos identically! Of all of these tips, if you only follow one, this is the one to follow. 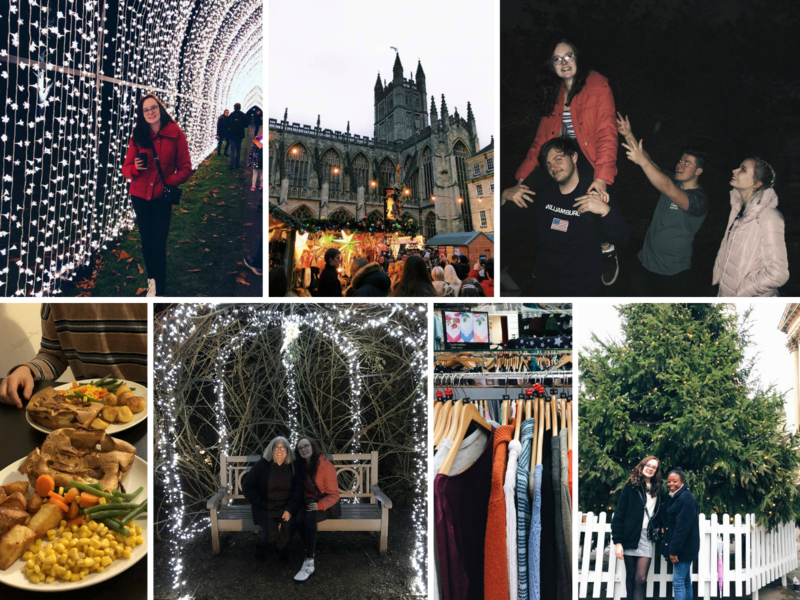 I cannot tell you how handy it is to be able to see what photos look like on your grid without having to do the mad-dash-rush-upload-and-delete-I-hope-nobody-saw-that-routine. The one I currently use is Feedr and it's great. When I take photos in bulk I edit them and then add them straight on there to work out which photos to post and when. As much as I love having a theme, it really really is frustrating. Now that I'm knee deep in my Christmas content I don't feel like a recent outfit snap in the autumn leaves would fit in very well, even if I love the photo itself, my hair looks great and my outfit is fit. And that, my friends, is annoying. I mean, I know it's not that deep, and it's only social media after all, but once you get into the swing of things it becomes oh so difficult to snap out of these routines. I think it's important to take all of this with a pinch of salt and take a step back every once in a while and remember that it really doesn't matter thaaaaaaat much. You do you, boo. What app do you use to edit your photos? 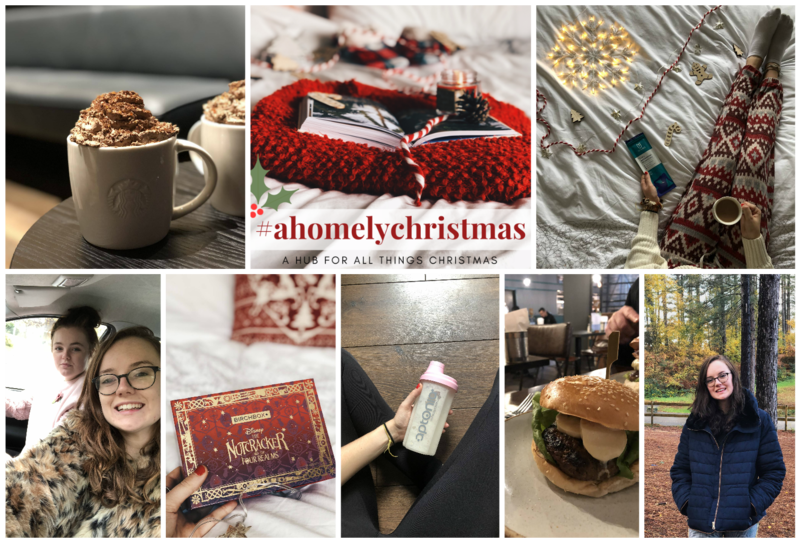 I know I've been banging on about #ahomelychristmas quite a lot recently but I thought I'd create a place over here on my blog dedicated to it. In case you hadn't already heard, I've created my own hashtag over on Instagram for allllll things Christmas. It's a place for food, outfits, flatlays, decor, gift guides, the lot. There are already a handful of posts on the hashtag so if you're in the need for some Christmas inspo, that's a good place to start. I'm going to be sharing some of my favourite posts on the tag over here in this post every few weeks, so definitely keep your eyes peeled. I'd really appreciate it if you could share this post (and the hashtag) so that we can make this the go-to place for bloggers' Christmas content. I have a few Christmas themed events to attend in the next few weeks as well as a trip to the Bath Christmas markets so you better be ready for allllll the Christmas content. Okay, so shall we just talk about how noughties this product is?!?! I think the last time I held a rollerball shadow was in 2006 getting ready for a school disco aka an evening of Gnarls Barkley Crazy and orange capri suns. Nonetheless, the shade is a beautiful warm copper and gives a lovely shimmer to the lid. It retails for £15 so isn't something I'd recommend rushing out to buy. 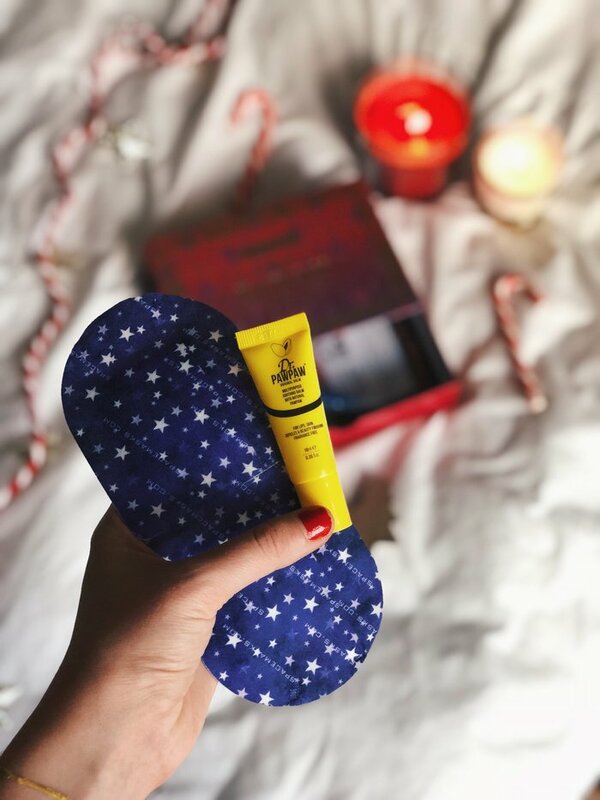 I don't usually use a primer, yep, I know I'm a bit of a fraud of a beauty blogger, but this is definitely something that I'm going to give a whirl over the festive period. It's really light, has an unoffensive scent and gives the skin a subtle yet dewy glow. It also claims to hydrate and firm - I'll report back to let you know if this is the case or not. This is a night cream that contains boreal algae (nope, I have no idea either) that acts to brighten and rejuvenate the skin. It also claims to smooth the skin and recharge it with oxygen (again, still no idea). I'll definitely be giving this product a full test purely out of curiosity more than anything... Algae?.. Oxygen recharging?.. 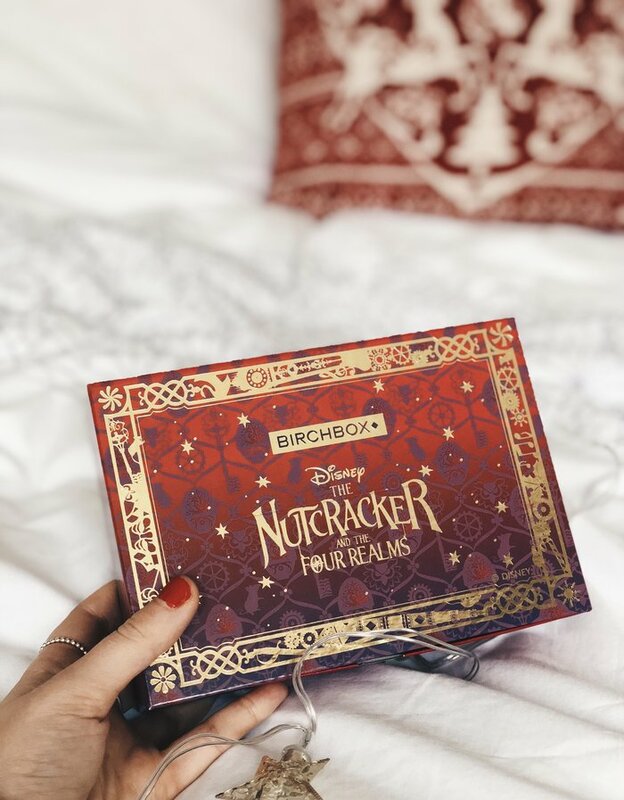 Have you ever tried Birchbox? 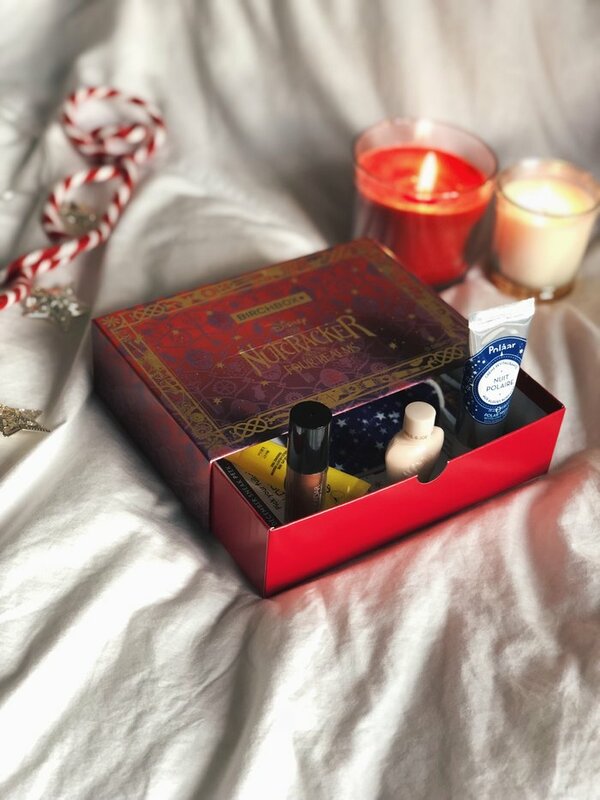 Which is your favourite product from this box? 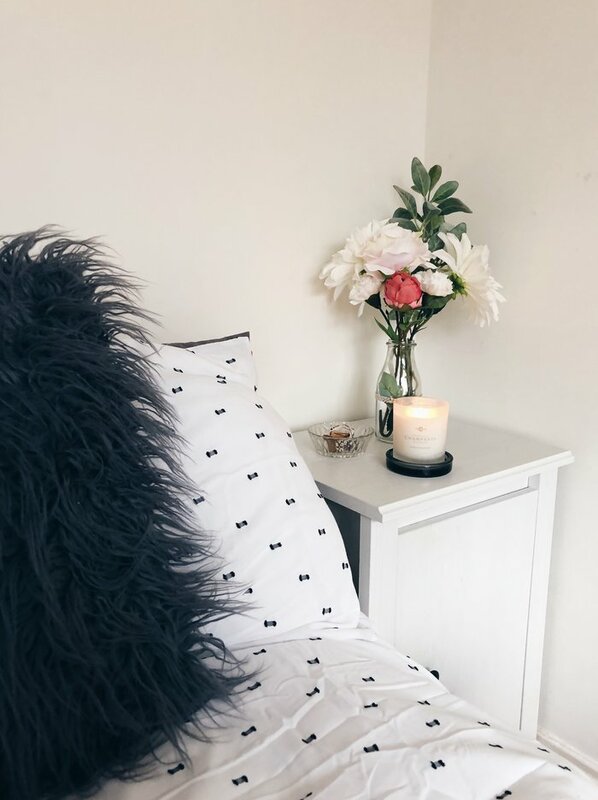 If you have clicked onto this post hoping to discover a comprehensive list of tips for finding the perfect student house then all I can do is apologize. The title of this post may almost certainly be 100% clickbait and spoiler alert: perfect student housing doesn't exist. But, now that you're here let me impart some of the little wisdom I have in this area, being in my final year of university. Also, if you'd like to have a look at my two previous student bedrooms you can see those here and here. Let me just repeat this one, there is no rush. During my first year we were absolutely terrified into choosing a house within the first few months amidst rumours that the houses would 'run out' and only the 'bad ones would be left'. Well, trust me, this is all artificial pressure from the estate agents. There are more than enough houses to go around, and alright ones at that. Student houses are mouldy, and some are significantly worse than others (my second year house for example). Take your time to look around for mould, the estate agent is hardly going to point it out for you. Our landlord last year bought us a dehumidifier but took it back after a few weeks, so that was the end of that, back to mould city for us. I think this is my biggest piece of advice of all and I cannot stress it enough. If you get the chance and there's somebody around, go and ask them what they think of the house. I did this at a few of the houses we were looking at and fortunately, this saved us from another crappy student house. Ask if there are any major issues and if the landlord is helpful if things go wrong! This one ties into the first one, but genuinely consider who you want to live with. Just because you lived with someone last year doesn't mean that you have to live with them again this year. And the same with coursemates, just because you sit in lectures together it doesn't mean you'd still be best buds after arguing about who left the skidmarks left in the toilet and the overflowing bins that need to be taken out. Do you have any student housing horror stories? 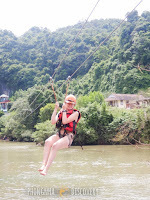 Our bus left Hue at 1.30 in the afternoon meaning we arrived in Phong Nha at about 6.30pm. We checked into our hotel (it sounds fancier than it was, it was a hotel, but we were in an 8 bed shared room) and dumped our bags, then headed for dinner. There are quite a lot of restaurants on the main backpackers street in Phong Nha, but we settled on 'Bamboo' for our first meal there. It's an Eco Cafe, and was absolutely packed, so we took that as an indicator of how good the food was, and oh my, we were not disappointed. I had the chicken curry and it was AMAZING. It was one of the first meals in Vietnam I'd had where the chicken actually resembled and tasted like chicken. We then headed back for an early night having spent the majority of the day on a tiny minibus. The next morning we woke up early, had breakfast at our hotel, and then headed to the lobby to wait for our bus to the caves. We'd booked a whole day tour through our hotel, and the day started with a trip to the 8 Ladies Cave and the memorial. This was really interesting and is part of most of the cave tour packages. Following this, we drove to the next stop and climbed 700m worth of steps to the Paradise Cave. It was huuuuge, really cold (amazing after that sweaty climb) and beautiful. I've seen a few caves in my time but nothing that compares to that - it truly was stunning. 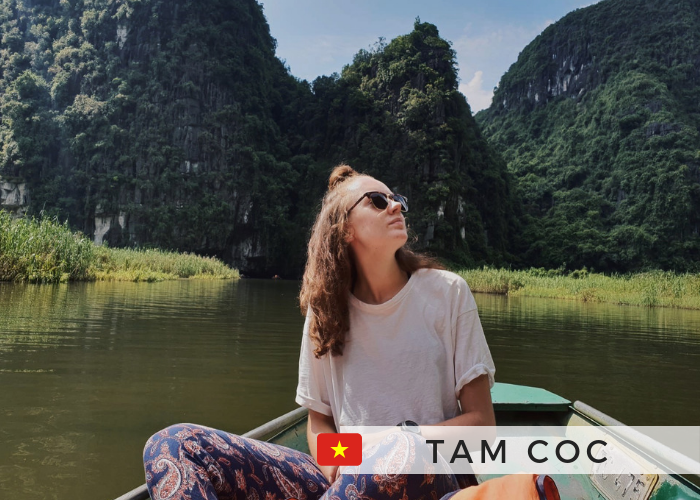 If you're ever in Phong Nha, you HAVE to go and see it. Our trip included lunch, so we drove to the dark cave and were provided lunch there. This was the usual buffet style with all sorts of dishes to try. I opted for the veggie version and it was really tasty. After this, we queued up for our harnesses and headed to the start of the zipline. 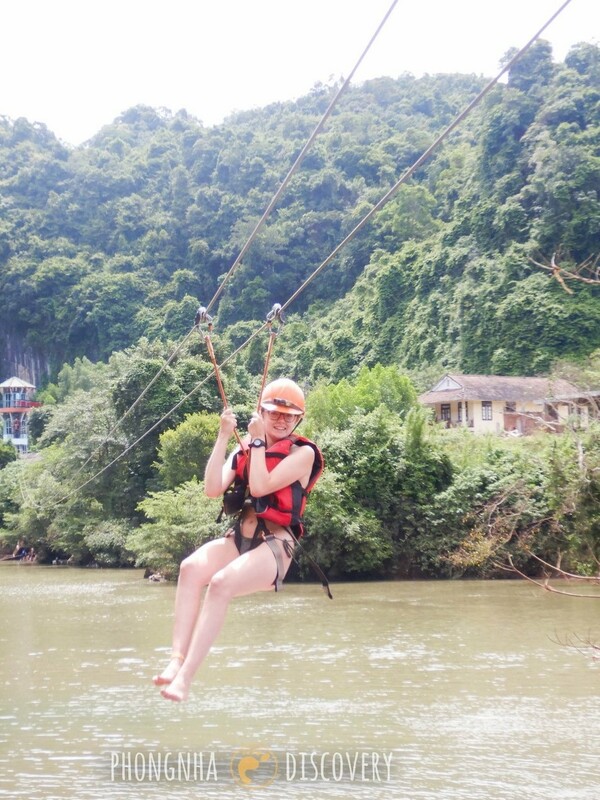 At the Dark Cave, you take it in turns to zipline to the mouth of the cave. They take photos for you mid-air, which are freely available on their Facebook page the next day. We then swam to the entrance to the cave, and realized just how necessary the head-torches were. It's not called the Dark Cave for nothing. We trekked through the cave until we reached the mud bath, which, can I just say was the weirdest sensation ever. When you're in the mud, you just float. I'm talking Dead Sea, floating without even trying kind of floating. We went down a natural mudslide and then headed back out of the cave to civilization. There were kayaks waiting for us, so we kayaked in pairs over to the water sports area. Here, there were swings, assault courses, the whole shebang. We then had a rum and coke before being driven back to the hostel in the minivan. All of the above was included in the price (£45), so I'd highly recommend the Cave tour if you're not on a tight budget. That evening we had a night out - nope, we weren't expecting Phong Nha to have any nightlife either. But, it was good fun and we were surprised by just how many other backpackers were in Phong Nha too - you never see anyone in the daytime. We had drinks at the Easy Tiger Hostel and then headed to Andy's Disco Club. The following day was a very relaxed one, spent in the pool and laying around in the sun. For lunch, we went and had an incredible pizza at Capture Vietnam. That evening we had dinner at Bamboo again and I had the chicken curry for a second time it was that good. We then waited for our night bus and saw our first proper Asia-style torrential rain, thankfully we were waiting inside. The bus arrived an hour late, was overbooked and had the WORST smelling toilet on board. Sleeper buses... You win some, you lose some. Very very quiet but with restaurants as far as the eye can see. The pool was 100% what sold it to us. Being a hotel, the private rooms were of course significantly better than the hostel room, and I personally wouldn't choose to stay there again. It had a really weird vibe, the staff weren't very friendly and having been into a few of the other hostels, I wouldn't recommend it. Happy November! I know we're still 7 weeks from Christmas, but now that Halloween has been and gone I am so so so in the mood for Christmas. For anyone that doesn't want to be hearing the C word just yet, rest assured, Christmassy content will not be gracing becc4.co.uk until December. I'm not so sure I can make the same promises for my Instagram, however. 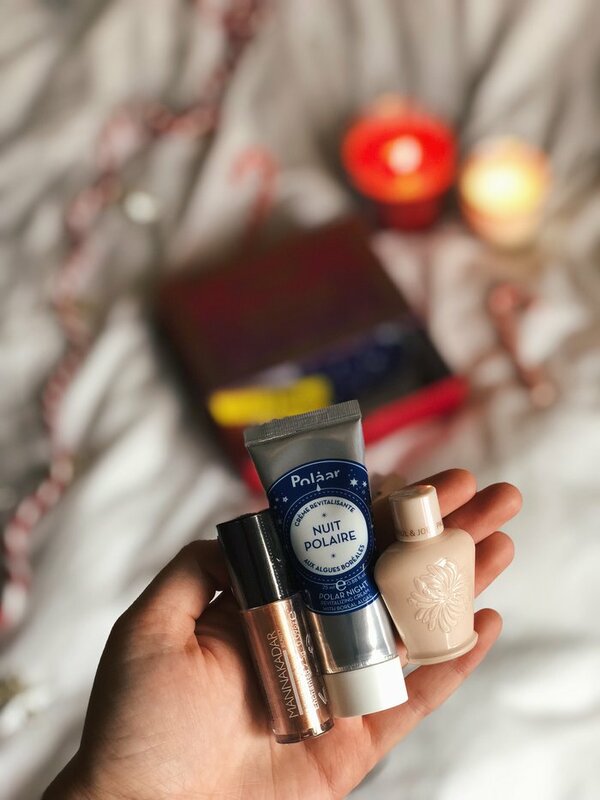 Is it too soon to start posting festive flatlays? I hope not because I've already started taking a few and I just want you all to see them. Oh, Monday, what a stressful day you were. Monday morning saw me do my first graduate interview, a video one. I'd never done a video one before and really wasn't sure what to expect, so it's fair to say it had playing on my mind. It was way less daunting than I'd expected and the questions I was asked were really interesting, so moral of the story; chill out, you got this. I haven't heard back from them, so fingers crossed I will do soon. My afternoon was then spent delivering a presentation to about 70 of my cohort on a research paper my group and I had read. Again, this was a fairly daunting task as it was by far the largest crowd I've ever spoken in front of so far. My evening was far more relaxed you'll be pleased to hear. It was my housemate's 21st so we all piled into Red Dog Saloon for burgers and dirty fries. I had the Gooey Louie burger and the chicken and bacon fries, and they were both incredible. I highly recommend. Tuesday was another busy day with lectures, meetings, and a gym session. Not a lot more to report, just a day full of uni stuff really. On Wednesday I went and visited the hospital as part of the Business Programme I am a part of. Four others and I are currently doing some work for them, so this week we went to see them in action. It was actually really inspiring and when the project is complete I'll be sure to tell you all about it. Ahhhh, Halloween. A very last minute, all over the place night that ended in the midnight curry house, standard. I wore my famous pumpkin costume once again but unfortunately, once we got to the club it was already one in one out and the queue was huuuuuge. Speaking of getting to the club, our Uber was a Tesla?!?! So that was pretty cool. We then walked to the Indian restaurant and all chowed down on a drunken tikka masala and naan. Thursday aka presentation number two day. This semester I have presentations in all of my modules and two of them just so happened to fall in the same week. So, yeah, it's fair to say the last few weeks have been very busy and full of group meetings. This presentation also went really well, it was on the factors affecting teenage conception, and the facts we found whilst researching the topic were suuuper interesting! We just have some follow up work to complete and then we don't have anything else to worry about for the module until the January exams. I had another meeting with my dissertation supervisor on Friday and I'm definitely making some good headway with it now. I've come up with my research question and have found the majority of my references, so I'm well on track for our first deadline at the end of the month. I spent most of Friday afternoon in the gym and am already seeing improvements in my strength, so cheers to that pals. Friday evening saw me attend house party one of the week and my second night out of the week - who is this girl and where has third-year Grandma Becca gone?! Saturday morning was spent catching up on work and then I took myself into town in the afternoon. I hadn't been into town in a whileee and I just really enjoyed having a wander around all the shops. The primary aim of the trip was to pick up some gifts for my upcoming gift guides and some decorations for Christmassy flatlays and you'll be pleased to hear I succeeded on both. When I got home I made nachos and fajitas for dinner before heading to house party number two. I have had a leisurely Sunday today. I woke up and had brunch, have stayed in my pjs all day and am currently cooking a roast dinner. I've become a bit obsessed with making roast potatoes on a Sunday and haven't missed a week in a while now. Why did it take me until third year to discover how easy they are to make?!? Opinions on me posting Christmassy content already? Would you look at that. It's Becca in an outfit that isn't a typical Becca outfit. Hooray for change and style evolution. At Sixth Form, all I used to wear was monochrome, so you could say my style has just gone full circle I suppose. Now, don't get me wrong, I still love my bright colours and mom jeans, but sometimes events are a little fancier and teddy bear coats don't quite fit the bill. I don't think I've ever owned a grey coat in my life, but I'm actually really loving it. Grey is a colour I usually try to stay away from, I'm not sure why, but I think it works really well with these trousers, which, could have an entire post dedicated to them alone. I love them. 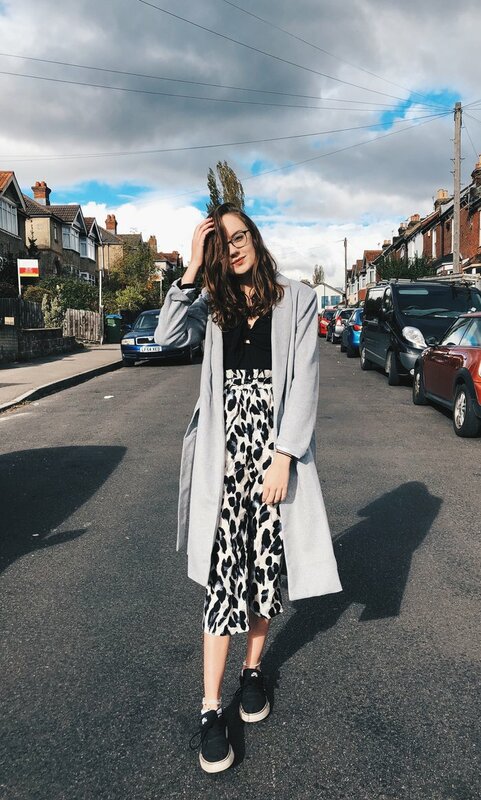 A monochrome, leopard culotte. Is there anything more Becca? If anyone has any tips for wearing culottes in winter without freeeeeezing their ankles off, they'd be much appreciated.